Vacaville High school kicker Brandon Talton took a couple of deep breaths and went into his normal routine. He started by going into his setup — exactly four steps back and two to the left. He paused and then let it fly. The football tumbled end over end for what felt like an eternity on Homecoming night at Tom Zunino Stadium. The two referees — each one standing below opposite ends of the goalpost — watched the ball closely and then looked at each other for confirmation. They were in agreement: the kick was no good. The right-footed Talton had pulled a 35-yard field goal left by an eyelash with 12 seconds left in the game. Granite Bay players exploded with excitement, reminiscent of the fireworks display that had gone on at midfield during Homecoming halftime festivities an hour or so earlier. 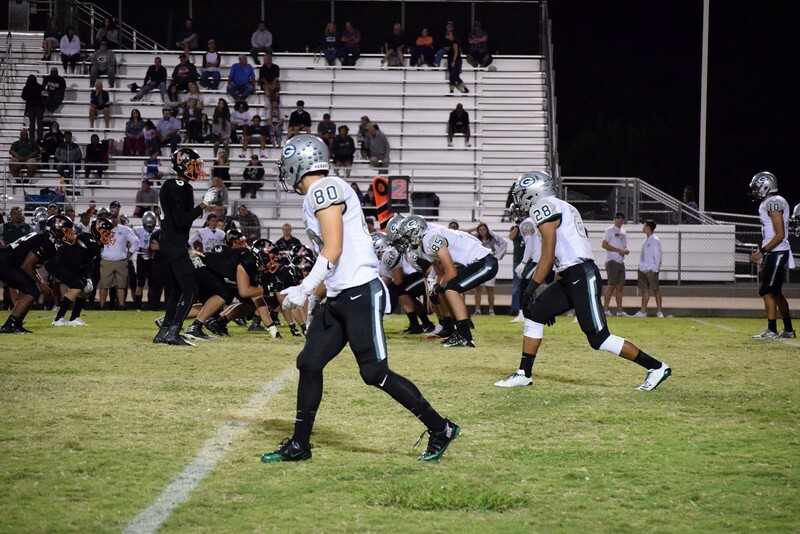 When the dust settled and the final seven seconds ticked off the clock, Vacaville had lost 21-20 to Granite Bay, one of the top teams in the Sac-Joaquin Section this year.